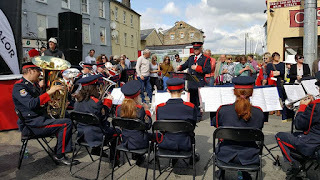 Celebrating the final day of the Skibbereen Food Festival 2017 in Skibbereen and one of the first outings for our new musical director Mick Long. A great day was had by all, enjoying the ambiance and local cuisine. The event was a huge success and well attended by the townspeople and visitors alike.